STOCKHOLM -- Autoliv reported an increase in first-quarter earnings but flagged uncertainty about global vehicle production ahead. Operating profit rose to $218 million from $205 million in the same quarter last year, the Swedish airbags manufacturer said. "The first quarter developed slightly better than expected," CEO Jan Carlson said in a statement Friday. 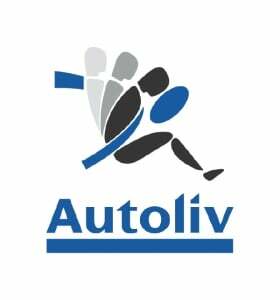 Autoliv kept unchanged its outlook for the full year but forecast like-for-like sales growth would slow in the second quarter compared with the first quarter. The supplier struck a note of caution about global light vehicle production. "Light vehicle production grew by almost 6 percent in the quarter, with growth in all regions," the company said. "However, we currently see some uncertainties relating to light vehicle production growth, including high inventory levels and slower sales momentum, especially in North America and China."